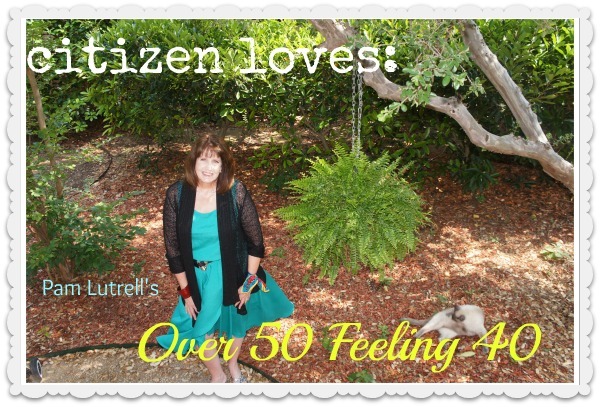 Pam Lutrell's Over 50 Feeling 40 was one of the first handful of blogs I found when I began my search for +40 bloggers back in late 2010. It was one of the first 25 posted, and one of of my early +40 blogger must reads every morning over coffee. It seems fitting to feature Pam here at the Citizen Rosebud, because Pam has been a big supporter of other +40 fashion bloggers, as well as being a great example of what personal blogging can do. What started out as her personal journey towards re-discovering HER style has now grown into a blog that women from all over, of all ages can easily relate to. And Pam wants you to feel good about yourself and your style. Very, very good. I feel very, very good about sharing my love of Pam and her blog with ya'lls. I wanted to get to know Pam a bit better, and am sharing the following interview, so you can get to know Pam a bit better too. THE CITIZEN: What's your name and your daytime gig? PAM LUTRELL: Well, in my life I have been known as Pamelita, Mickle Mackles, Skipper, and Simply Pamell, but for now, just Pam Lutrell! I'm a high school journalism teacher and freelance writer. THE CITIZEN: Your blog, Over 50 Feeling 40 shares your personal journey in re-discovering fashion/style and your dedication to having a healthy body. What triggered this renewed interest in style, and physical fitness? PAM LUTRELL: I had a wake-up call when I turned fifty, from a driver’s license photo. Basically, I had let myself go while raising three children; so over 50 feeling 40 represents a new attitude of having a great second half of life. I've been on this journey to improve myself and experience daily joy for the past 8 years. THE CITIZEN: Who inspires your fashion, and why? there are many people from celebrities to bloggers who inspire me. I'm also inspired by art and nature. My inspiration can change at any moment, from a blog or magazine or mailer. THE CITIZEN: You're a teacher, a wife, a mother, and a +40 style blogger. Any more hats to add to the list? PAM LUTRELL: I am a freelance writer for two local publications, and a friend to many fabulous women! THE CITIZEN: Name 2 books you feel has helped you with discovering your personal style. Parisian Chic: A Style Guide by Ines de la Fressange. The Essentials of Fabulous by Ellen Lubin-Sherman. I found guidance in both of these books that I feel is important to where I want to be right now! THE CITIZEN: How does being from Texas influence your style? Pam Lutrell: Over 50 Feeling 40, and looking FABULOUS. THE CITIZEN: You are a vocal proponent of supporting local businesses- why is that so important you? Why should that be important to us? PAM LUTRELL: I think it is critically important to the economy and bringing jobs back to our communities. Small local businesses are really the economic backbone of our country. We are strengthening our communities and our country when we help local businesses succeed. Within local businesses, we actually find better service, neighborhood/community support, and charm. It’s true service with a smile! THE CITIZEN: If you could ask for the impossible and get it, what would it be? PAM LUTRELL: If I could ask for the IMPOSSIBLE, I would be Editor-In-Chief of my own lifestyle/fashion magazine for real women! My magazine would be for women in the trenches who are usually not a size 0 and do not have 5th Avenue budgets. I've learned through blogging that these women need inspiration and a voice; I would love to be their voice in A BIG WAY! So Lovely to share. She is one of my regular reads. Nice to get to know her a little more from your interview. I'd read her take on a fashion magazine. You never know the impossible is always possible. Bella, thank you so much for this honor!! 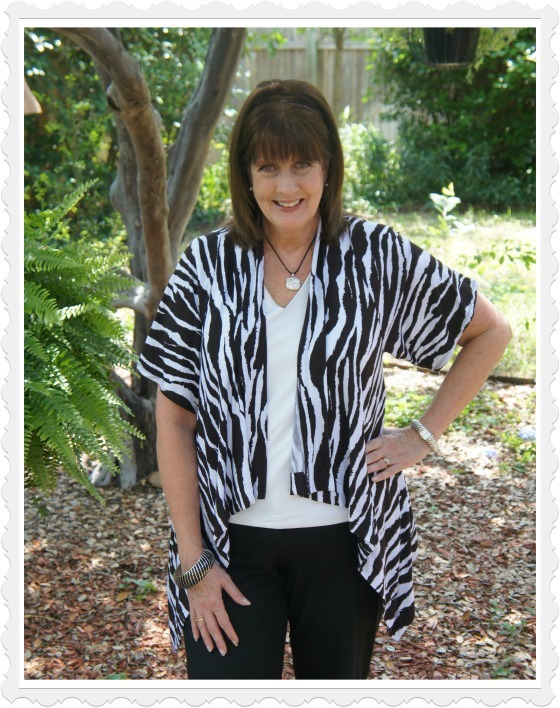 I just got the link back up on my site....you are so wonderful and doing so much to promote the 40+ bloggers!! You are the best!! Great interview - Pam was also one of my "firsts" when I started reading and blogging about fashion. She's the definition of generosity. Brilliant both of you. I am so touched. Another brilliant post. Thanks so much for the voice! Thank you for share Pam interview, she is such a great inspiration for all us! 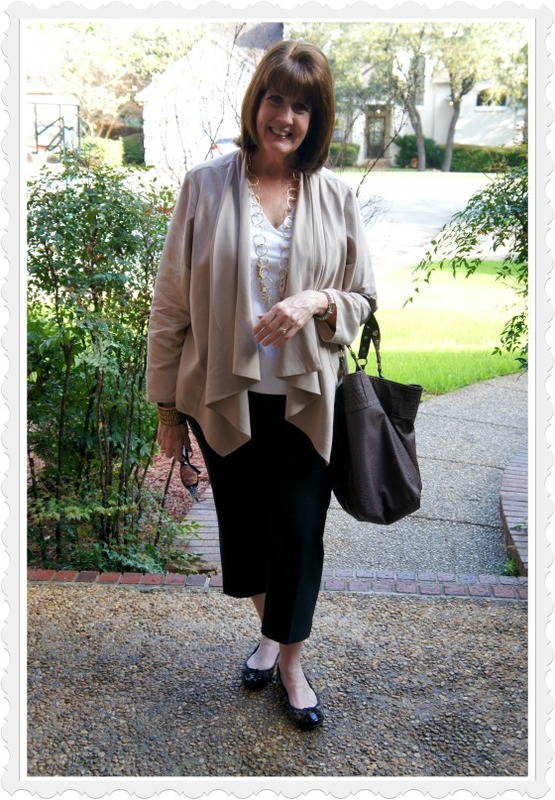 Love Pam and her blog! She's so uplifting and inspirational. Thanks for introducing me to Pam. Her blog is so wonderfully positive and encouraging, and she has awesome jewellery! Wonderful and inspiring feature! Will check her blog out more now thanks to you. :) Enjoy your week Bella! Thanks, Bella, for this interview with Pam. She is awesome! Now that I know more about her I am even more impressed. She was an early find for me too when I tiptoed into blogging - inspiring. What a lovely lady with such style and class! I am inspired by her real woman attitude as that is something I myself aspire to! Great interview, Bella! Great interview Bella. I think it's funny Pam's wake up call was her license photo, nobody likes those:) Whatever the reason I think she looks great! How fun to learn a few of Pam's nicknames! And you're correct that she's been an inspiration. Fantastic interview! You asked some really great questions here. I really enjoyed reading this! Great interview and photos of Pam! She was one of my early finds in the blogging world too, and have followed her ever since. She always has a positive message, like you Bella! Thanks for this great post. I'm going to check out the blog now! Bella Q, this is AWESOME! I love what you are doing! Hurray for Pam! I mean Skipper! :-) I enjoy her blog very much, so much fun! xo! Bella so happy to have found your blog! I am so impressed with your promotion of us bloggers over 40! I so enjoyed your interview with the inspiring and generous Pam! I shall be adding your blog to my daily reads!